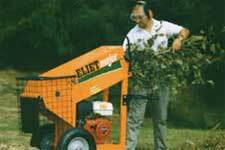 A light-duty shredder for twigs and branches up to 40mm (1.5in) diameter. Large wheels with pneumatic tyres make it easy to manoeuvre on uneven ground. 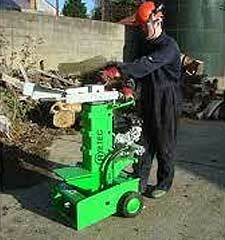 A semi-professional machine that will handle large bulk, including branches up to 85mm in diameter. 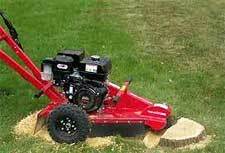 Petrol Driven, 9hp stump grinder. Removes stumps easily and safely. Handles logs up to 103 cm (3ft 4in) in length.